A selection of Great Reads for everyone. Have a look and discover something new to read! 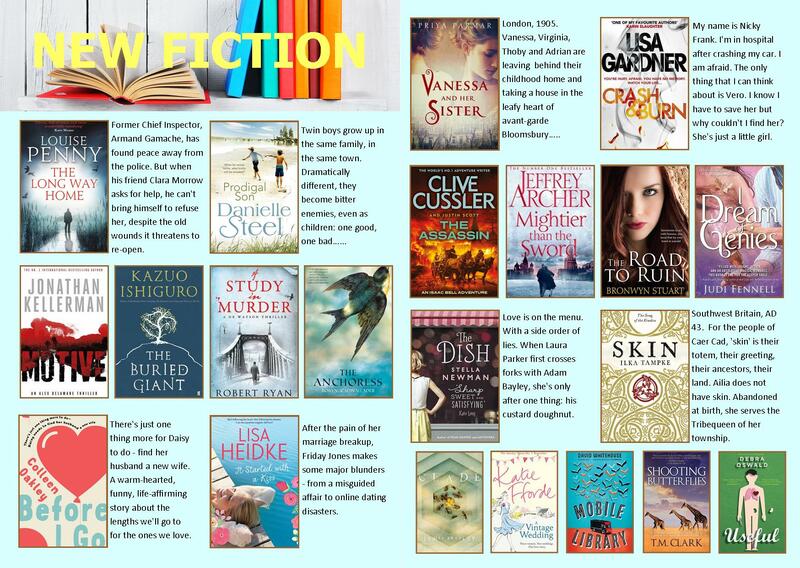 This entry was posted in Fiction, Historical Fiction, Mystery & Crime, Romance and tagged New Fiction, Parramatta City Library by admin. Bookmark the permalink.